I'm with you on Benediction, been waiting to see them since I was bummed about missing theirs and Bolt Thrower's US tour in 2013. I only like maybe 1/5 of the entire lineup every year but that's plenty enough worth it for me. Get your balls out of your coin purse. Goregrind is unrepresented on the boat, Gutalax, Rompeprop, Putrid Pile, etc. on here would be insane. Re: Do You Already Feel The PAIN? Merciless would be the ultimate surprise, but I heard they dont have the time to do anything outside of Europe at the moment.. If it is Grave, that's two of the Close Up Baten bands.. 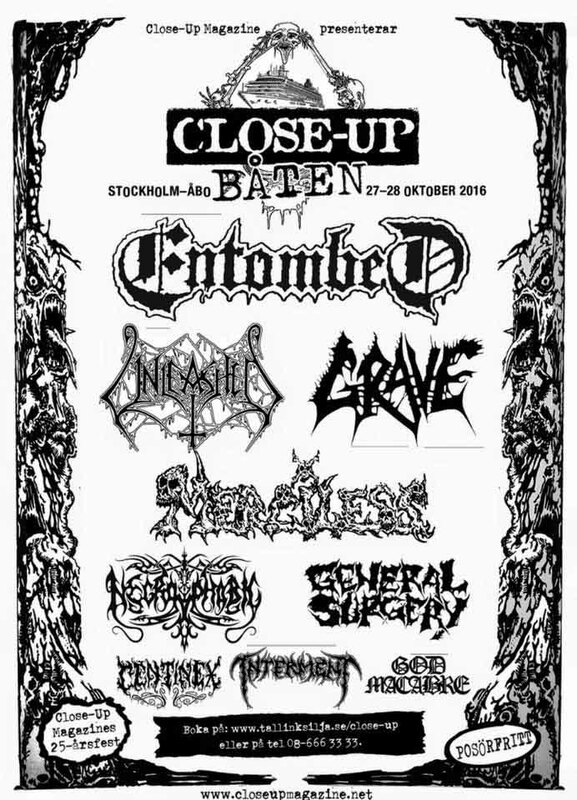 It would be amazing if Interment would be announced as well, BEST set at MDF this year!! Also glad there's death metal being announced early, just really not the death metal im into lol. Want some old school European death or deathrash! Would be awesome with Sinister, Merciless, Asphyx, etc. Still cant wait to book tomorrow!! Nasty Savage would be amazing..
That would be incredible!! I can't wait to see them at MDF, one of the greatest thrash bands in my book!!! BOOK THEM!!!!! Not one Benediction album on the list?! They're one of the greatest in old school death metal in my opinion. Hello, this is our first time attending the cruise and my wife and I (ages 27 and 22) are looking for 2 people to split the quad with. Everyone we got in contact with so far has bailed, we are ready to make the payments right away! We are very respectful and courteous, and very excited for the cruise!